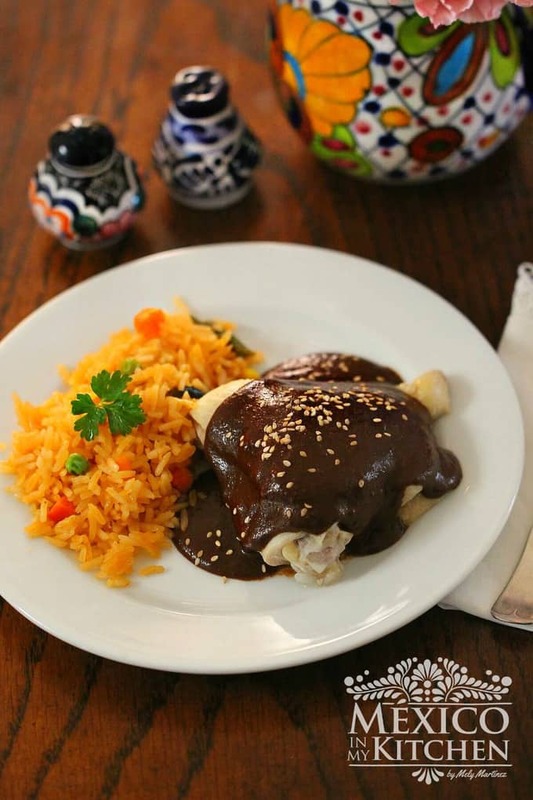 Tilapia Veracruz Style | Mexican Food Recipes, easy stovetop dinner. 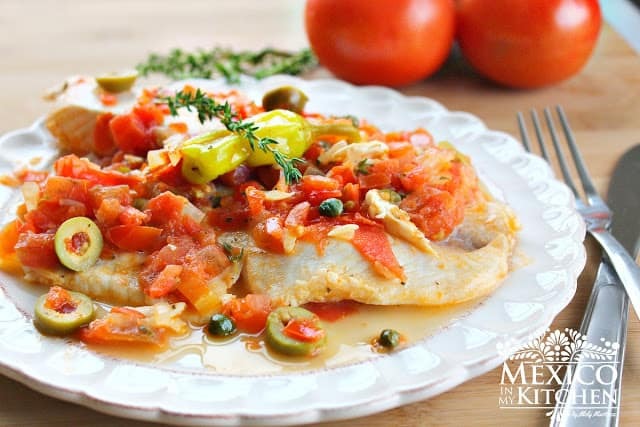 This recipe for “Tilapia Fillets Cooked Veracruz Style” is a shortcut to the original recipe of “Red Snapper Veracruz Style”, where the whole fish is cooked in the sauce. When prepared this way, you will have dinner ready in less time and will still be able to enjoy the same authentic flavors of the whole fish version. You can use another type of fish fillets instead of tilapia fillets, since not every fish is available in your areas. This is a dish that my husband loves. 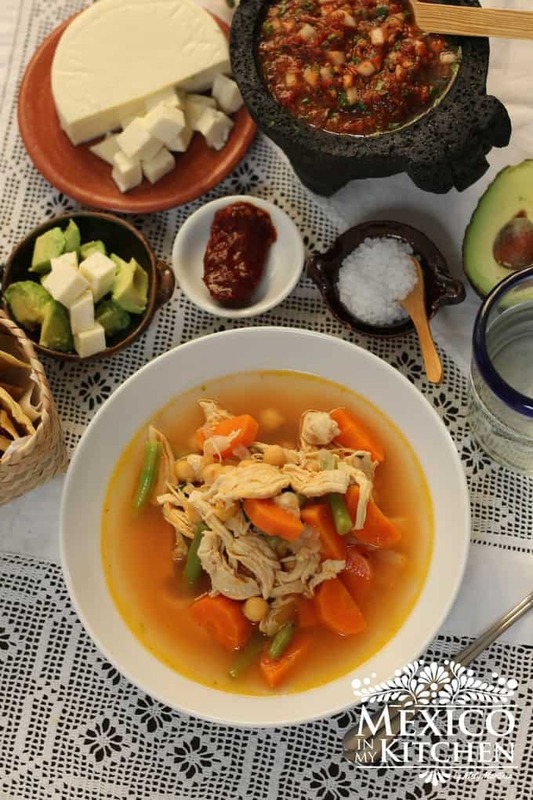 The combination of tomatoes, olives, capers and herbs is a very versatile mix; if you check the recipe for Chicken Veracruz Style, it is very similar to this one. Have some crusty bread ready to dip into the savory sauce when it’s done. The State of Veracruz has one of the best cuisines in Mexico; its gastronomy has great influence from Spain from the time of the conquest. Some regions show very particular influence from France, and other parts of the state have a unique cuisine with an African influence due to the number of slaves brought to the country during those times. If you are a frequent visitor to the blog, you are familiar with the step-by-step pictures with the instructions, but guess what, for this recipe, there will be no pictures of the step-by-step process. Somehow, I erased them from my camera! But, no need to worry, I know you are all great cooks and will do just fine with the instructions. Add bay leaf, thyme, oregano, jalapeño peppers, olives, capers, and white wine to the frying pan. Season with salt and pepper and keep cooking for 4 minutes to allow the flavors to blend and the sauce to reduce. Gently add the fish fillets, spoon some of the tomato sauce over them, and cover with lid again. Cook for about 5-6 minutes until fish is cooked. Serve drizzled with olive oil alongside white rice, or overcooked pasta. Serve with crusty bread. 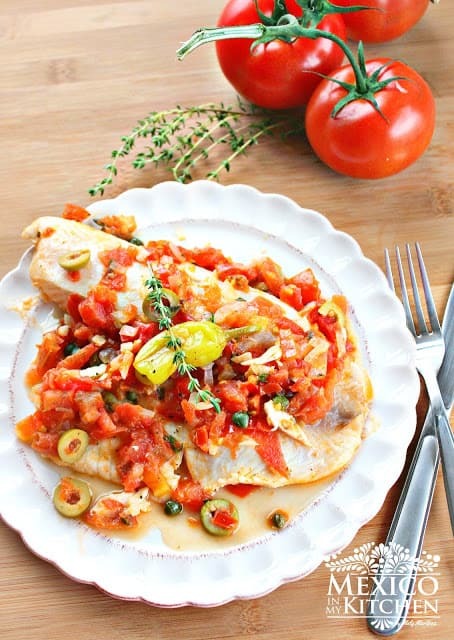 Tilapia Veracruz Recipe is a shortcut to the original recipe of “Red Snapper Veracruz Style”. where the whole fish is cooked in the sauce. Heat olive oil in a large frying pan over medium heat. Add onion and garlic and sauté for 2-3 minutes, until onion is slightly transparent. Stir in the chopped tomatoes and cover frying pan. Cook for 8 minutes to allow the tomatoes to release their juices. flavors to blend and the sauce to reduce. I just wanted to add that in Veracruz, Spanish olive oil is used when cooking this dish. Vera Cruz style is one of my favorites! Thanks for the reminder. We usually do them this way, but last summer I used the "sauce" for fish taco, and they were wonderful! Good morning- I plan to try this recipe soon. I’ve tried some of you other recipes, they have been delicious. I wanted to thank you for this website. I love it! I appreciate your descriptions and step by step instructions. They are quite helpful for a novice in the way of Mexican recipes. I look forward to your emails and I pass on the ones that seem like something my daughter can try. She is new to cooking and is very careful. She must have step by step instructions and yours are just what she needs.